Nero first came into the limelight as a CD burning tool, but has since expanded into various other software avenues. The BackItUp tool, launched on Windows a few years ago, has now made its way to Android for an easy 3-step backup, sync and restore solution — complete with 5GB of online storage. Nero BackItUp 2014 works with any Android device of v2.2 and upwards, and lets you easily back up and restore photos, videos, music, contacts, call logs and text messages to your SD card, PC (via Wi-Fi) or the online storage. Of course, since it doesn’t ask for root access, you won’t be able to do a complete backup How To Complete A Full Backup Of Your Android Phone [1.6+] How To Complete A Full Backup Of Your Android Phone [1.6+] I've been using Titanium Backup ever since I got my first Android device. I love backup applications (for PC and otherwise), and Titanium is as good as it gets. In this short introduction I’d like... Read More with stuff like apps, which Titanium Backup can do. There are plenty of Android backup solutions Don't Lose Your Data: 5 Top Backup Solutions For Android Don't Lose Your Data: 5 Top Backup Solutions For Android Everybody needs to back up their data in case something happens to their device. Protect yourself with these amazing backup apps. Read More , but Nero offers a simple 3-step process and there is no limit to the number of tablets or smartphones you can back up on a single account. The 5GB of online storage is free, but if you need more space, you can get up to unlimited storage for $70 per year. These paid plans also offer automatic backups, letting you set a schedule so that your devices are syncing with your storage. The web interface is accessible from any browser and includes the ability to browse, download and share your files, much like any cloud storage service The Cloud Storage Showdown - Dropbox, Google Drive, SkyDrive & More The Cloud Storage Showdown - Dropbox, Google Drive, SkyDrive & More The cloud storage scene has heated up recently, with a long-awaited entry by Google and a revamped SkyDrive from Microsoft. Dropbox has gone unchallenged by the major players for a long time, but that’s changed... Read More like Dropbox or Google Drive. You can also view your photos and play your videos, including the option to stream them. 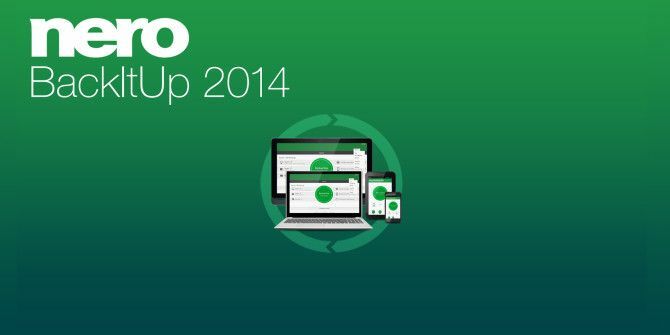 The free Nero BackItUp 2014 can be downloaded from the Play Store or Nero’s official site. Explore more about: Cloud Storage, Data Backup, Smartphone Security.